If spring ever does decides to come and stay, I will be sooo happy. I don’t mind the rain, after all, I live in the desert and we could really use it. I’m just tired of gray skies and cool temps. It was another cold night at baseball games and I’m getting a little tired of it. I just want warmth and sunshine, is that asking too much? I don’t think so. At least the rainy weather is a good excuse to stay in and bake. Enough about the weather, let’s talk salad. 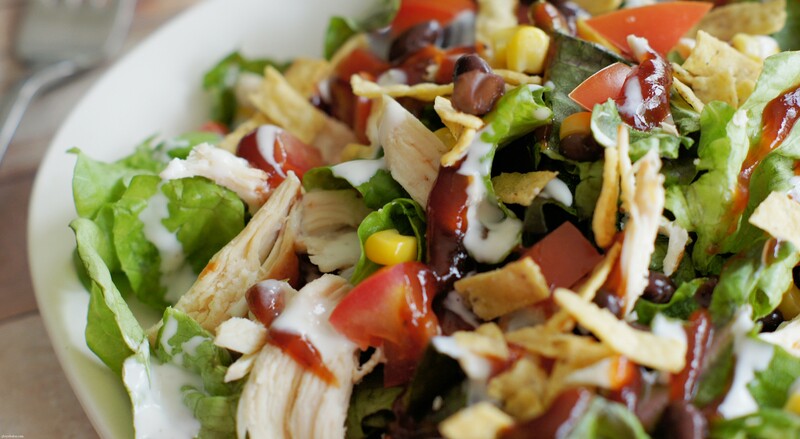 BBQ chicken salad. This is probably one of my very favorite salads ever. It’s a complete no brainer to throw together and is so versatile, you can add whatever you like. Because I’m all about simplifying, I like to use a rotisserie chicken . . .yay for rotisserie chickens (love them!). What makes this salad so fabulous is the dressing. BBQ SAUCE + RANCH DRESSING = A KILLER SALAD DRESSING . I used to mix them together (equal parts of each), but again, it’s all about simplifying, so I just drizzle a little bit of both on top. 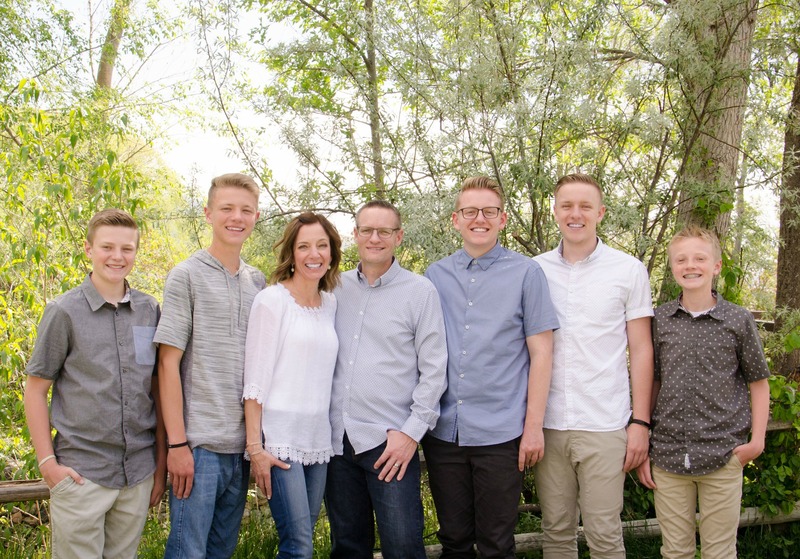 Rather than mixing the whole thing up in a bowl, I just let my boys grab a plate and make their own, that way everyone gets what they like and they can put on as much salad dressing as they want. I could eat this every day for lunch. . .love, love, love this salad. 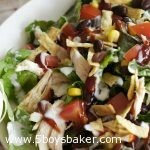 Place lettuce on a plate and top with chicken corn, bean, tomatoes, shredded cheese and tortilla strips. Drizzle with equal parts BBQ sauce and ranch dressing. This is such a no brainer recipe, that I didn't list any specific amounts of ingredients. Use as little or as much of the ingredients to suit your tastes. When I'm not worried about keeping it quick and simple, I have grilled chicken breasts basted with BBQ sauce and then cut into pieces. Either way you choose, this salad is so scrumptious! This looks incredibly delicious! Thanks for linking up with What’s Cookin’ Wednesday!